THE FOOTY world loves a comparison. Last week's NAB AFL Rising Star nominee, athletic Carlton forward Charlie Curnow, is supposedly the second coming of Anthony Koutoufides. And now we have the next Brendon Goddard – Brisbane Lions defender and round 17 nominee Alex Witherden. The tag is not a new one for Witherden, who was christened with it while still a budding AFL footballer playing in Geelong. "I've always said if I could be even half the player Brendon was then I'd be happy," Witherden told AFL.com.au. "I was lucky enough to come up against (Essendon) a few weeks ago at Etihad and watch him go about his business. He's a fierce competitor and a very good footballer, so I'll keep looking at a few of the things he does well and try and implement them in my game." The Goddard likeness goes beyond Witherden's composure and willingness to take the game on with his kicking, according to Geelong Falcons talent manager Michael Turner. Turner said there were also similarities in their build and intensity, and that the former Geelong College captain had the characteristics to follow in Goddard's footsteps as an AFL skipper. "It's not something you aspire to do, I don't think – it's just something that comes naturally," Witherden said about Turner's prediction. "I think Dayne Beams is a prime example of that. I don’t reckon he set out to be a captain at any stage of his career. He just led by example and was highly respected within the playing group – and that's what got him across the line. "I'd prefer to take that approach and just let my career unfold and see what happens." Witherden is yet to have fewer than 20 disposals in any of his four AFL games since making his debut in round 14. The 18-year-old's latest outing saw him stuff the stat sheet with 28 possessions, three rebound 50s, four inside 50s, four tackles and six score involvements. Witherden already looks a bargain for the Lions, even after further surgery on his broken leg was required in January. The club was unperturbed with the fact a broken right leg – suffered in a school match tackle from future Giant Tim Taranto in May last year – ruined his hopes of a strong campaign. Witherden's positivity during his recovery and diligence with his rehabilitation program endeared him to those around him. He had a familiar ally during the setback in Kangaroos draftee Jy Simpkin, who broke his right leg a month earlier. Witherden and Simpkin first became friends when they represented Victoria at under-12 level and were part of all the state junior teams before joining up again in the NAB AFL Academy. Then last year they were able to lean on each other for support. "We just checked in on each other to see if we were OK," Witherden said. "It is pretty mentally tough and draining when you're missing out on the national champs and things you've been looking forward to for so many years," Witherden said. "There's also the constant stress of 'Will I or won't I be drafted?' but it was also about tracking how each other's recovery was going … and if we've got similar soreness when we were back running. It makes you feel more comfortable." Turner and Witherden each noted the Lions' calculated recruiting in recent years of Victorian country talent, including fellow Falcon Rhys Mathieson and North Ballarat Rebel Hugh McCluggage. The hope is they will stick together, with Turner pointing out the club's past unfortunate trend of "leaking talent" when homesick players sought a trade back to their state of origin. 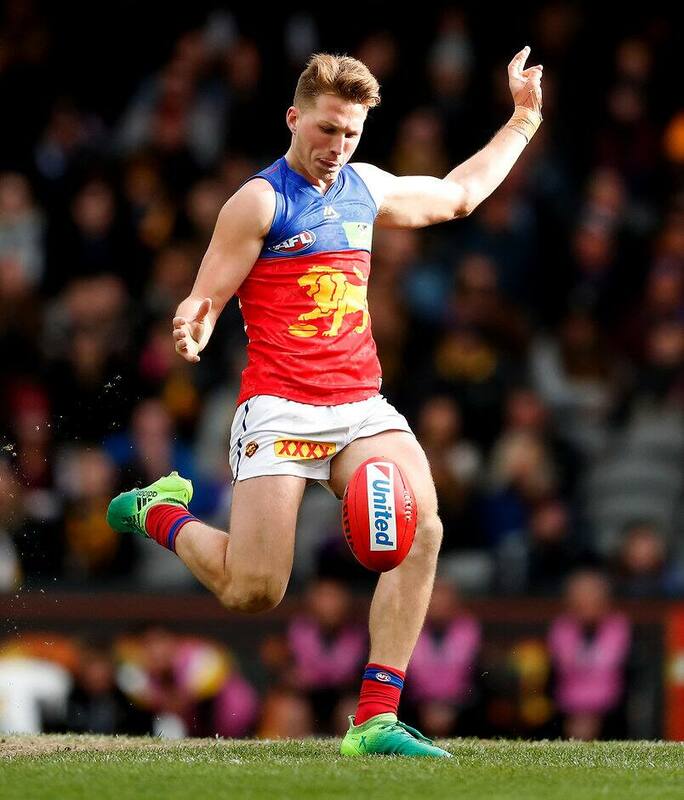 Turner doubts Witherden will go anywhere, and the Goddard clone has pledged to be part of the Lions' resurgence, alongside fellow Rising Star nominees McCluggage and Eric Hipwood. "The future up here is pretty bright," Witherden said. "Hopefully we can become relevant within the competition once again and serve it back to a few of the teams that have given us some beatings over the years."